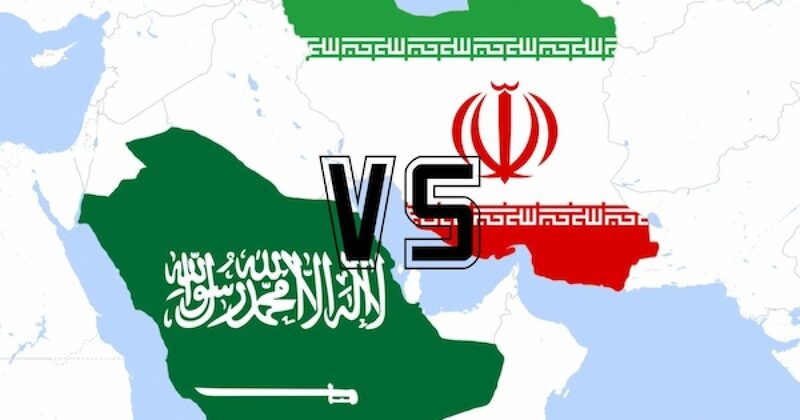 If the odd moves we are seeing in Saudi Arabia and Lebanon indicate a shift closer to war – at least a proxy war – over Iran’s predatory posture in the region, on what kind of timeline might we see more kinetic developments, as the old Obama administration used to put it? A Saudi decision on Sunday certainly prompts that question. After Houthi-controlled Yemen claimed the ballistic missile launch against Riyadh – an attack the Saudis credibly blame on Iran and her backing (see here and here as well) – the Saudi regime announced a blockade of Yemeni ports and airspace. A blockade is considered an act of war by international convention. Although no one is likely to go to “war-war” with Saudi Arabia over it, at least not soon (the Houthis themselves will basically continue their posture of military harassment against their neighbor), this is a formally disruptive action that potentially has significant consequences. It’s not a meaningless political gesture. And coming at the same time as the Saudi internal “purge” and the collapse of Lebanon’s fragile status quo, with Saad Hariri’s resignation, it portends a big shift in Saudi priorities. Most commentators in the major Western media are still trying to explain away these actions with superficial analysis, as if disembodied political calculations are at the root of what’s happening. This is a profound error. The point is not that the political concerns aren’t real. The point is that they don’t explain either the timing or the visibly disjunctive abruptness of the moves being made. The important thing that’s underway is the sequence of opening moves in a war of territory and geography. That’s what explains the willingness of the Saudis to be perceived as themselves acting against the status quo. They have already taken their thinking beyond its boundaries. They are preparing for consequences they expect. They’re not just throwing stuff against a wall to see what sticks. Analysts for the mainstream media don’t see what the Saudis see about Iran’s geographic moves across the region because they don’t live where the Saudis live. There is also a systemic cultural problem inhibiting cognition: Westerners have lived too long with a seemingly permanent geopolitical stasis, and simply can’t wrap their minds around the reality that what’s happening in Lebanon is about the power move of Iran on the other side of Syria – as is the timing of the Saudis’ abrupt step toward hot war with a blockade of Yemen. The Saudis need to put the Yemen problem down, because it’s a comprehensive vulnerability for them to their south, just as Iran is about to complete her land bridge across the Saudis’ frontier to the north (see top link for discussion). The Yemen situation is only made worse by Yemen’s long and strategically vital coastline. If Iran can keep moving weapons into Yemen – especially missiles of various kinds (see links above) – the Saudis’ own coastlines and ports are subject to exceptional risk, at Iran’s hands, from multiple axes. Iran’s support of the Houthis becomes a form of strategic encirclement that Saudi Arabia cannot tolerate. Only if you’re sitting in an office in Western Europe or North America can you afford to scoff at the geographic immediacy of this calculus? The Saudis are in Riyadh and Dhahran. They are not consolidating state power inside the kingdom for abstract reasons. They are making big moves right now, today, because everything has already changed, and it is abundantly clear at this point that the United States isn’t going to intervene to preserve the regional status quo. Although it’s impossible to predict exactly what timeline the region can expect for a breakout Iranian initiative, we got a big clue over the weekend. The move itself is almost eye-wateringly bureaucratic, at least as reported, in perfunctory fashion, in the regional media. But it carries tremendous import for the future. Well-informed sources told Asharq Al-Awsat that the move came after army commanders were disgruntled by the newly announced budget for the armed forces, days before its submission to the Shura (parliament). According to those sources, the defense share was slashed in order to pressure the military institution to abandon its air force fleets in favor of the Revolutionary Guard [the IRGC], which is a parallel army in Iran which answers to Khamenei exclusively. [T]he national military [as opposed to the IRGC] enjoys the privilege of controlling the national air force, including warplanes, rocket launchers and combat helicopters. Sources said that economic pressures may push the Iranian army to abandon the air force, and become a pawn to Revolutionary Guards policy, giving the latter leverage should clashes between the two forces arise. This, right here, describes a shift from the current order, in which the national army controls the tools of conventional power projection, to a new order in which the revolutionary mullahs control those tools through the IRGC. Warplanes, assault helicopters, and battlefield rocket launchers are the tools of territorial conquest, as a means of military power projection. The national army has retained command of them since the revolution in 1979. That has been a source of internal power-balancing for Iran, but also a relatively stabilizing factor for the larger region, since the character and heritage of the Iranian national army militate against its becoming a tool of military predation abroad. Khamenei intends to change that. If the IRGC has command of the tools of conventional power projection – in a land war, that means territorial maneuver and conquest – Iran will have the structural elements in place to embark on a new career. Khamenei’s method is typically indirect; i.e., to shift funding around and call the whole thing a reprioritizing of the budget. But this is a strategic move of game-changing proportions. This is not being done for “budgetary” purposes. In order to be effective in a large-scale land offensive, Iran would want to have more inventory than she has, especially of warplanes and combat helicopters. The “budget” move from this past weekend sets a stage on which the props won’t be in place for a while. For a full-scale offensive, I would assess a minimum of 2-3 years before preparations were in place. That said, in the short term, the revolutionary mullahs can achieve a lot without a full-scale offensive. Their military problem looks instead like being able to insinuate a lower-level, but ever-more-capable military presence into Iraq – or through or across Iraq. And their warfighting concept is built around internationally-sourced jihadi troops as “infantry.” They don’t use the Iranian national army for this, and they don’t intend to in the near future. It’s the supporting assets for that core maneuver element — strike-fighters, assault helos, artillery — that need to be provided from Iran, and under Iranian command. There are limits to what the structure of Iranian forces will currently tolerate in that regard, especially when it comes to using the air force and helos in support of ground operations outside Iran’s borders. The existing control of the national army limits what the revolutionary council can ask it to do. Shifting command and control of those assets to the IRGC would realign the force structure to support the geomilitary strategy now emerging with the effective occupation of Iraq (and, for some purposes, Syria). To put it bluntly, reassigning the national air forces to the IRGC would allow the mullahs to use them for offensive purposes – even before the capability exists for a full-scale conventional land offensive. Bottom line: through a dominated space like central Iraq, the mullahs of Qom can make use of an IRGC-controlled airpower and rocket-power arm just as soon as they have it in place. The “budget” maneuver, with its replacement of key military officers on 5 November, is the opening move in that process. Saudi media are reporting on it because they see it for what it is. The Saudi regime is taking it seriously, and reacting to this and other Iranian moves, for the same reason.